Read more because reading stimulates your mind. It gives your brain a break from the day-to-day hustle-and-bustle that is life and gives it time to imagine things, escape. You can broaden your horizons and expand your mind by picking up a novel for just a half hour each day. Better mental stimulation can also lead to better decisions and could lead to you making a fantastic financial change. For many people reading actually reduces stress. Being stressed can cause some people to spend more money by eating more or spending cash on their stress relief process. Reading can get rid of the need to spend that cash. Of course you’ll pick up some great vocabulary and gain knowledge if you start reading more. This can affect your finances through whatever job you hold. If your vocabulary starts getting better and you seem more focus you could land a promotion. Reading also leads to stronger analytical skills. 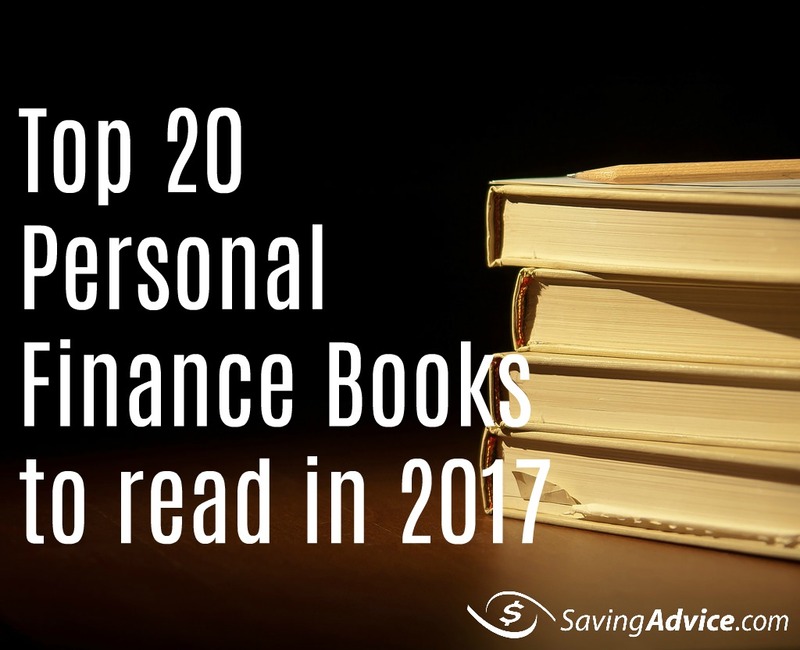 You can use the analytical skills gained by reading more to better you finances. Use your heightened skills to create an affective budget and analyze the stock market. Is there a better reason as to why you should read more? Well, yes. There’s one more reason that’s even better than the rest. Reading is free entertainment. Instead of going out to the movies or a restaurant you can stay home and enjoy a good book. You might be thinking, “well, I’ll have to buy a book.” However, you can grab a book for free from your local library. You can also swap books with friends and maybe even start a reading/lending group! 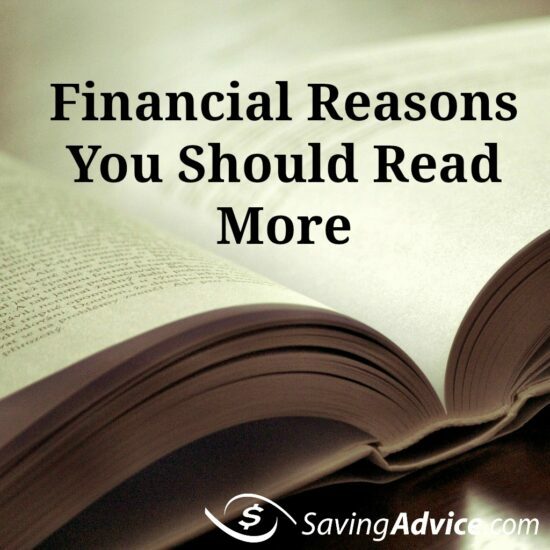 Now that you know some financial reasons why you should read more, you should probably know how to read a bit more. Below are some suggestions from Money Crashers on how to read more. Some of these ways to read more will save you a bit of cash too! Cancel cable. Get rid of cable TV if you haven’t already! It is an unnecessary cost. Many people have switched to streaming services, like Hulu and Netflix. Not only will getting rid of cable save you money but it will also free up some time to read more. Get a tablet. If you have a little money to shell out on a tablet, get one! A tablet will makes many people want to read more than a regular paper or hardback book. Also, you can grab a lot of free books on Amazon for your tablet . Choose good books. This is key to reading more. You won’t want to read more if you can’t get a good book. Set a time. If you set up a time to read each day and stick to it you’ll be able to read more. For example, if you want to read before dinnertime each day you can set an alarm for 4:30 p.m. to remind you to pause for some reading time. Read with others. Another great way to read more is to find a group of people to read with. You can start a book group where you all purchase and read the same book at the same time and discuss. You can also start a book lending club. A book lending club will allow for discussion and trading of books between people in the group. Will you try to read more? Summer is coming. There is no denying it, at least if you live in the Northern hemisphere. Days are getting longer. Winter clothes are being stored in attics to await the return of cooler nights. Kids are ready for the school year to end. Summer vacation will be upon us in the blink of an eye. What are your plans for your summer vacation? How will you be keeping your kids busy? Whatever we plan in the summer months, reading is always a big part of our expectation for our kids. Fortunately, they are old enough that their schools give them plenty of reading over the summer but not every school is as demanding. 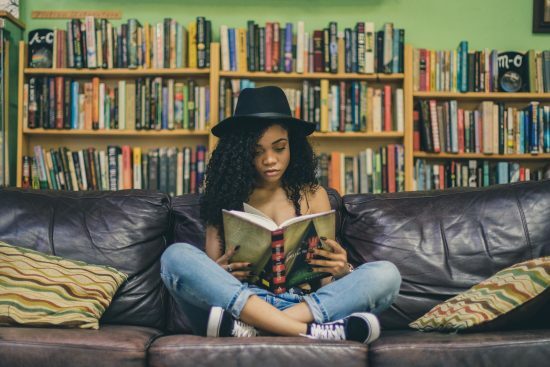 If your kids have summer reading for school, or if you just want to make sure that they continue to read even though school is out, buying books can be an expensive proposition. Of course, there is always the local library, but sometimes it is nice for kids to own the books that they read, especially kids who like to return to the same titles over and over again. Fortunately, there are a lot of ways that you can add books to a child’s library without breaking the bank in the process. Visit Yard Sales: The price point for books sold at yard sales is very low. Paperbacks are often sold for a nickel or a dime and hard cover books are not sold for much more than that. Visit yard sales with your kids and tell them that they have a fixed budget for books, and only books. 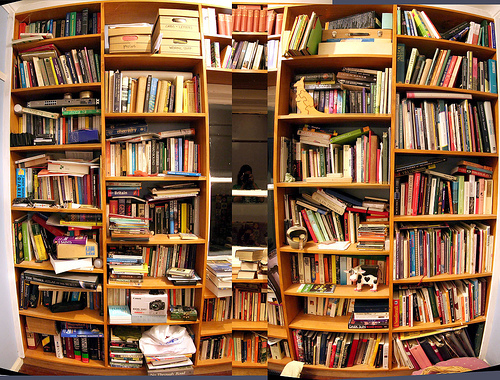 You will be surprised at how many books that you can accumulate over the course of one summer for only a few dollars. At the end of the summer, tell your kids that they will be allowed to sell any books that they have actually read and that they can keep the money that they get. It will help to encourage them to read. 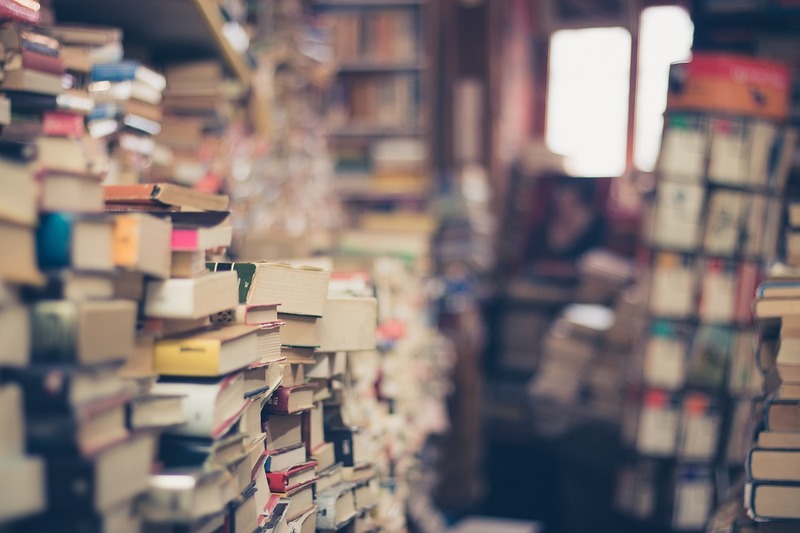 Visit Used Book Stores: Most cities of any size have used book stores. Often, they will have great deals on kids books because the resale market for recent books is usually poor. As an adult, you may also find a few inexpensive literary treasures as well. I recall buying most of my books at the now defunct Avenue Victor Hugo Book Shop in Boston many years ago and rarely had to spend more than a dollar per title. I still have many of those books today. Visit Book Stores that are Going Out of Business: It is a sad reality that in this economy, many book stores are failing. Take advantage of those failures to get deeply discounted books, especially as the date for the store closing gets closer. Visit a National Chain Book Store: Many national chain book stores offer reading incentive programs. Borders, for example, will give a book to any child under age 12 after the child reads ten books this summer. For more information check the Borders website. Barnes and Noble usually runs a similar program each summer as well. Form a Book Club: Organize a book club for your child and their peers. Each week, have each member bring two books to trade and then have each child describe each book before the trading begins. The kids will enjoy the event and the parents will benefit from the ready source of new reading material. Don’t forget that a child whose parents read is also more likely to be a reader, so make sure that you read as well! What books are on your reading list for this summer? What books would you like to see your children read? Books with a voyeuristic element are often more readable than how-to books because, honestly, who doesn’t like reading about the trials, woes, and (hopefully) eventual successes of other people? We’re a voyeuristic bunch who like to know what others are doing. Look at the popularity of reality TV. It’s no different for finance. We like to compare ourselves to others and either feel superior to their situation or be inspired to do better. These books are also instructive because they expose us to people and situations that we would not normally encounter in our daily lives. We get to see that there are lifestyles, choices, and financial considerations other than those that we personally experience. These types of books are good for summer reading because they read more like a traditional story. You can just sit back and read the tale without worrying about remembering certain points or doing “homework.” If you’re looking for some financial books with a human element to take to the beach with you this summer, here are my suggestions. 1. Maxed Out: Hard Times in the Age of Easy Credit by James Scurlock. This book presents several cautionary tales about what happens when the use, abuse, regulation and issuance of credit goes awry. It’s a sobering look at just how shifty credit markets can be. 2. Green With Envy: A Whole New Way to Look at Financial (Un)Happiness by Shira Boss. This book is truly voyeuristic, with the author looking behind the scenes at the lifestyles of her supposedly “wealthy” neighbors to discover that they really aren’t as well off as they would like the public to believe. It’s a case study on the idea that “the Joneses” that we are trying to keep up with are an illusion and, thus, any attempt to keep up with them is misguided. 3. The Overspent American: Why We Want What We Don’t Need by Juliet B. Schor. This classic looks at the disconnect between our consumption and our satisfaction. Why are we killing ourselves with work and going deep into debt for “stuff” that doesn’t make us any happier? She looks at a variety of causes for our overspending and, unlike many books, doesn’t lay the blame at any one door, rather the blame is shared. She also provides hope for change in the form of “down-shifters;” people who have opted to slow down their spending, work, and consumption in favor of a better life. 4. Affluenza: The All-Consuming Epidemic by John de Graaf. This book, based on two PBS documentaries, looks at excessive consumption as a disease that has symptoms such as anxiety, debt, waste, and stress. The book examines the effect of the disease on individuals and societies and also examines some of the potential “cures” for affluenza. Profiles of people with this “disease” make this an entertaining read. 6. A Year Without “Made in China”: One Family’s True Life Adventure in the Global Economy by Sara Bongiorni. This books is a bit similar to “Not Buying It,” except this author goes one step further and attempts to avoid buying anything made in China. Of course this a serious challenge because so many of our goods come from China. She shies away from controversy by refusing to engage in debate about trade policies and politics, but it is a fun and humorous read about how one family tried to make a difference. 7. Money, A Memoir: Women, Emotions, and Cash by Liz Perle. This book looks at the consequences that arise when a woman leaves the finances up to her husband. When her husband leaves her, the author is faced with the fact that, despite being intelligent and educated, she knows next to nothing about spending, saving, investing or basic money management. How and what she learns creates an inspiring tale. 8. Give It Up! : My Year of Learning to Live Better with Less by Mary Carlomagno. Unlike the author of “Not Buying It,” the author of “Give It Up,” only gave up things for one month. Each month she gave up a different item: cell phone one month, shopping the next, dining out the next month, and so on. She didn’t suffer quite the deprivation and societal consequences that are found in books where the authors give up things for longer periods, but she did make herself more aware of her spending and consumptive patterns. It’s an entertaining read and not a bad plan for those looking to try living with less. 9. Save Karyn: One Shopaholic’s Journey to Debt and Back by Karyn Bosnak. The author, in her late twenties and with a decent job, nonetheless manages to accumulate $20,000 worth of debt in one year (mostly by trying to impress others and by being a slave to labels). When she loses her job, she decides to dig herself out of debt rather than declare bankruptcy. Not everyone will agree with her strategy of asking the public for donations, but it is interesting to see how such a shallow girl turns into a fairly resourceful person when the need arises. This is not serious reading — it’s a bit fluffy — but it’s not a bad tale. 10. The Two-Income Trap by Elizabeth Warren. The author argues that bankruptcies are soaring, not due to irresponsibility, but because two incomes are no longer enough to make it in the world today. Whether you agree with her or not, the book does point out some problems in society that could be addressed to keep people from falling so far behind that there is no way out. The profiles of families in crisis provide a sobering portrait of what some people are up against. 11. Strapped: Why America’s 20- and 30-Somethings Can’t Get Ahead by Tamara Draut. This book examines why those under thirty-five are struggling to make it when compared to their parents’ generation. The author dismisses over consumption as the problem and instead focuses on high student loan debt, skyrocketing costs, low paying first jobs, and jobs with no benefits. Her conclusions are valid, but her refusal to acknowledge that high consumption is a problem for at least some irks me. If you’re under thirty-five, you might recognize yourself in some of the stories presented here. 12. Luxury Fever: Why Money Fails to Satisfy In An Era of Excess by Robert H. Frank. This book is most similar to “The Overspent American” in that it looks at why consumption is not making us happy. However, this book looks specifically at luxury items and what triggers our desire to own them. He argues that our overspending is triggered directly by the spending patterns of those around us (it’s interesting to see just what those patterns are) and then presents several ways we could change the consumption patterns of our whole society to benefit everyone. 13. Nickel and Dimed: On (Not) Getting By in America by Barbara Ehrenreich. The author gave up her home, car and trappings of middle class life and sought out low paying jobs to prove how difficult it is to make it when all you can get are low paying jobs. She examines how difficult it is to get and keep a job when you have kids, no transportation, and other life issues. The book is at times a bit shrill and political, but overall it’s an interesting look into a side of life most of us try to ignore. by Linda Breen Pierce. This book is actually the result of a “Simplicity Study” conducted by the author. She has compiled many of the stories of her respondents and illustrated why they opted off the work, spend, work some more treadmill. She focuses on a variety of groups, from the young to the retired, those with kids and those without, the wealthy and the not so wealthy. She spends a lot of time on the positive changes these people noticed in their lives, but she also examines some of the negative consequences of opting out of the expected American lifestyle. 15. House Lust: America’s Obsession With Our Homes by Daniel McGinn. If you’ve ever surfed real estate websites “just to see what’s out there” you may have house lust. This book looks at American’s obsession with our homes; their value, appearance, square footage, and investment potential. It’s a fascinating look at how houses have evolved from simple “homes” to status symbols, markers of our worth as people, and showplaces that tell others about us. 16. Richistan: A Journey Through the American Wealth Boom and the Lives of the New Rich by Robert Frank. This is a fun romp through the world of the ultra-rich and the unique “problems” and responsibilities that they face. The author also examines the good that some of the ultra-rich do in the world, but mostly he amuses himself with the excesses of his subjects. Financial books don’t have to be dry and boring. Those that give us a window into the lives of others and tackle societal questions can be just as valuable as and, perhaps, more entertaining than those that offer step by step instruction. Exposure to the worlds of others is both entertaining and instructive.